Stan Persky teaches philosophy at Capilano University in North Vancouver, B.C. His most recent book is Topic Sentence: A Writer's Education (2007). Something unusual both happened and didn't happen last year in the poetry sector of the British Columbian and, by extension, Canadian literary world. The unusual thing that happened is that well-known Vancouver poet George Stanley published the first (as far as I know) book-length poem about the city of Vancouver. It's called, appropriately enough, Vancouver: A Poem. You'd think, given the hook of its subject matter and the fact that its author is not an unknown, that there would be quite a bit of public response to it. But that's what didn't happen. Vancouver: A Poem was reviewed almost nowhere in Canada. Nothing in the Globe and Mail, Canada's allegedly "national newspaper." Ok, you say, that's Toronto. But nothing in the Vancouver Sun, either, even though the book is by a local author and about a subject, Vancouver, that's supposedly the Sun's bailiwick. Ok, the alternative press, then. Nope. Nothing in the Georgia Straight, and not even The Tyee heard about it (until now). One obscure website, a couple of even obscurer blogs, a New York poetry newsletter, and a reader at Amazon.com took notice of Stanley's Vancouver. Not exactly a spirited literary discussion. Some of the lack of attention, I suppose, is related to the role of poetry itself in Canadian culture, but that's a bigger problem whose discussion is more appropriate to some other occasion. The one thing perhaps worth saying about the disappearance of poetry from public view is that we're likely losing a way of understanding something about life that we don't get from other linguistic modes, such as story, discourse or the language of science. But here I'm concerned with a specific work, and the curious indifference it's encountered. If this sort of thing happened in France or Germany, where enough people still care about literature, the absence of attention to a significant literary work by a reasonably well-known author would be considered an intellectual scandal. In Canada, however, the little-noticed publication of Stanley's book is just another, like, whatever, shrug. I could understand the critical silence if Stanley were simply a novice poet, writing about some tired, poetically precious, or impossibly arcane topic. But he's not. And it's not. The 75-year-old self-described "senior" is the author of a dozen or so chapbooks and volumes -- including, just in the last decade or so, Seniors (2006), A Tall, Serious Girl (2003), At Andy's (2000), and Gentle Northern Summer (1995) -- and he's the 2006 winner of the Poetry Society of America's prestigious Shelley Award. What's more, Vancouver is a topic with relatively broad appeal. There has been a stack of books (well-reviewed books, by the way) about Vancouver in recent years that includes Doug Coupland's City of Glass: Douglas Coupland's Vancouver (2003), Lance Berelowitz's Dream City: Vancouver and the Global Imagination (2005), and Michael Kluckner's Vancouver Remembered (2006), as well as a slew of Vancouver-based novels from writers like Timothy Taylor, William Deverell and Lawrence Gough. My point is: if you're a writer in Vancouver, there's an obvious temptation to figure out the enigma of a city that's a cross between a multi-ethnic Floating World Shangri-La and a shabby netherworld of boarded-up storefronts, discarded heroin needles, and basket-carts of the homeless rattling through the back lanes. It might be interesting to know how a poet sees this West Coast patchwork. That's where George Stanley's book comes into the picture. I would have written about it before, but since I know the author, I decided to refrain from the usual literary log-rolling. To say I "know" the author is a bit of an understatement. In fact, I've known Stanley for precisely 50 years. We practically grew up together in the literary bars of his hometown, San Francisco; moved to B.C. at roughly the same time some four decades ago; and for about a half-century (a half-century!) have been engaged in a running conversation-argument-literary/philosophic-discussion, and we've even made cameo appearances in each other's writing. But given the illiterate silence surrounding his book, and the fact that he's one of the few living poets whose poems I have some sense of, I'll have to make do with this customs declaration of personal interest, and say something about Vancouver: A Poem. The most famous modern book-length poem about a city is William Carlos Williams' Paterson (1946-58), an epic-sized collage written in a mixed mode of poetic lines and prose that provides an account of the history, people and spirit of the city of Paterson, New Jersey, as well as the role of the poet in society. In short, as Williams says, it's about "a man and a city." Paterson is the book that George Stanley is reading at the beginning of Vancouver, as he rides the bus, "back & forth. Across the city. The 210." The poem's opening line is a stark declaration: "There is more here than memory." It's a terse modernist abbreviation of the classic opening invocation to the muses -- the familiar "O, muse / hear my song" -- that we find in the ancient Homeric and Virgilian epics. Stanley's Vancouver is a book about the mind of a poet -- a poet in Vancouver, as it happens -- and about Vancouver, a city that appears in passing glances, by refraction, sometimes from a distance (say, from an office window at the North Vancouver college, on the far side of Burrard Inlet, where Stanley taught literature), most often from within the city's busses, pubs, restaurants and department stores, and in such ordinary places as the lobby of an apartment building in Kitsilano, a building where "the seniors in their apartments" are "waiting for a moment" in the late afternoon. 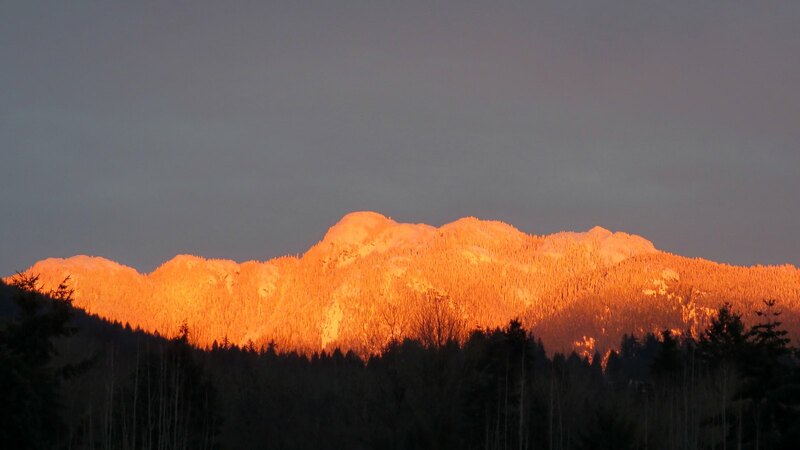 At other times the city sits there in stolid silence, its buildings weighty as the mountains north of Vancouver in which "we see two rocks, & call them Lions," Stanley says, and later notes, "like lions sculpted by some Assyrian or Henry Moore." Then looking away from the mountains, back toward Vancouver, he adds, "City of death, city of friends." Stanley immediately challenges William Carlos Williams' catchphrase, "A man & a city," replying, "I am not a man & this is not my city." What he means, I guess, is there's no such thing as "a man" in the abstract, and he certainly isn't the socially-constructed "man" ideologically approved of in his society. At one point he muses, "not to be a man / to be a thought," emphasizing that he's an embodied mind thinking about a city. Still, if you're not a "man" in relation to a city, you can nonetheless be a citizen of the city, as Stanley in fact is -- frequently a participant at civic political meetings or a member of the Bus Riders Union. As for "this is not my city," it can be read literally that Vancouver isn't the city where Stanley was born (that was San Francisco). Or more simply, it's a place he is "not at home in." Or even, it's not the same place of rougher edges that he lived and worked in, in mid-life, during the early 1970s. Reading Stanley, I too remember a grungier version of Vancouver when a barrel-making factory, a cooperage, occupied the oil-soaked shoreline of False Creek, before the chic housing development and its winding lanes replaced it. And there can be an estranged sense of the new and changing parts of the city -- the old Carling brewery gives way to condos at Arbutus and 10th -- such that we sometimes say, I can no longer recognize the city. Finally, there is a denial of proprietary ownership in "not my city." It's not his city in the sense of, Who can claim a city as one's own? To Williams' notion of "a man and a city," Stanley counterposes his own credal idea of "the darkness of the mind & the darkness of death, / & in between the bright day, bright city." Stanley's book investigates those edges of darkness as well as the brightness in between. I don't want to minimize the fact that Stanley's Vancouver is a complicated, even difficult, modern poem, which is to say that it's a work in which a person is actually thinking. Further, the process of writing it is part of the poem, including the very problems of writing. The hesitations, blanks, the anxious sense that the whole thing (even the city) might be an illusion, are all there. What we have, as Stanley says at one point, is "a single ape / in complex light," and the refrain, "City of death, city of friends." Does the city deserve your care? Recurrently, Stanley tells himself to "write carelessly, but slowly," or "write carelessly & / stop focusing." What he means by the curious admonition to "write carelessly," I think, is a recognition that relinquishing a certain amount of authorial control over the "material" is a way of allowing the city to come through on its own. Behind the invocation about how to write this poem, one finds throughout Stanley's work an almost metaphysical tension between caring and not caring. The notion extends from the most mundane matters, as in caring or not about the outcome of the game on TV in a bar, or the homeless begger to whom one gives or doesn't give "spare change," all the way to big cares about cities, existence, the universe itself. It's something like Samuel Beckett's famous declaration, "I can't go on. I'll go on." In Stanley's version, it's "I don't care. I care." It's a reminder to us, as readers, to think about what we do and don't care about. Correction: Each senior knows everything. The others don't want to hear about it. If a book about Vancouver like Doug Coupland's entertaining City of Glass is a view of Vancouver that often seems as though the city is seen through a telescope perched on the cedar deck of a house across the inlet from Vancouver, Stanley's city is distinctly experienced from inside, inside its busses, bars, among its beggers, inside the apartments of seniors where "the horizon of meaning / is just inside / the living room window," and of course inside the mind of the poet. In that sense, Stanley's Vancouver is more akin to another notable Vancouver book, the late Bruce Serafin's Stardust. The Vancouver that Stanley thinks and dreams and writes about is both the changing city and the city retrieved in time. "Sausi's is closing," he notes about a bar on West Broadway, "to be replaced by a Banana Leaf," a small chain of Indonesian restaurants. "Reterritorialization," he calls it. "We'll have to find some new place to drink." Later, he remembers, "In the dream I lamented the passing of bistros / like the Modern, which was Sauci's three reterritorializations back." Behind the reterritorializations, and the constant destruction and reconstructions of capitalism (perhaps it'll be slightly slower in coming days, since capitalism itself seems to be undergoing a destruction), the city is haunted by its older self. Stanley invokes a time when the large"W" emblem revolved atop the old Woodward's department store on Hastings, just after World War II, as a "reminder of a certain way of life," a time when people were regarded "as people," "not merely plural." And, we might add, not merely as consumers. It can be seen as a sort of golden age, or the illusion of one. But, as Stanley sharply reminds us, "There's more here than memory." For all its interesting complexities, Vancouver offers the straightforward notion that all of us (in Vancouver) have a version or vision of "Vancouver" in our minds, and it suggests the question, "What kind of Vancouver is in your mind?" That is, there's a sense in which each of us could articulate, if we wanted or were able to, the city that we experience over time. What would your Vancouver look like? In the meantime, there's George Stanley's capacious mind, trying out ideas about everything from Vancouver to the void in a remarkable poem of urban exploration. VIDEO: Why US Poet Laureate's words get big hits. Excerpted: the prose poem Falsework by Gary Geddes captures the collapse of the Second Narrows Bridge. Has Serafin Given Us The Great B.C. Book? No one has better captured tough truths about work and life in B.C. 's netherworld.